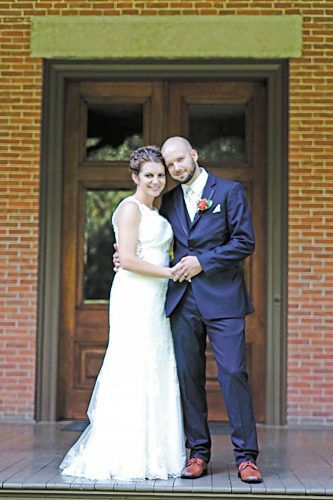 Jessica F. Lynch and Cory T. Nardecchia were married at 2:30 p.m. Nov. 15, 2014, in a double-ring ceremony at First United Methodist Church in Norwalk, officiated by the Rev. Brian Oglesbee. Jessica is the daughter of Larry and Ruth Lynch of Fostoria. Cory is the son of Don and Susie Nardecchia of Norwalk. The bride was given in marriage by her father. She wore a full-length, lace gown and carried a bouquet of lavender roses. 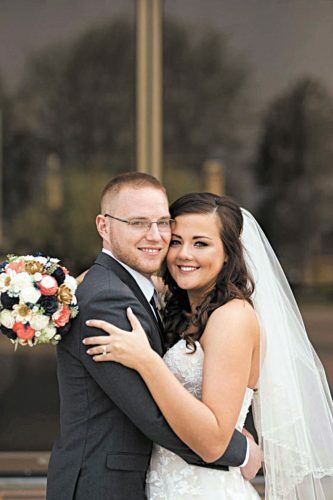 Maid of honor was Lauren Brassfield of Springfield, friend of the bride. Bridesmaids were Brittany Lutz of Attica, Melanie Rice of Coshocton, Katie Dewald of Bascom and Alexandra Fresch Chew of Columbus, friends of the bride. They wore purple satin dresses. 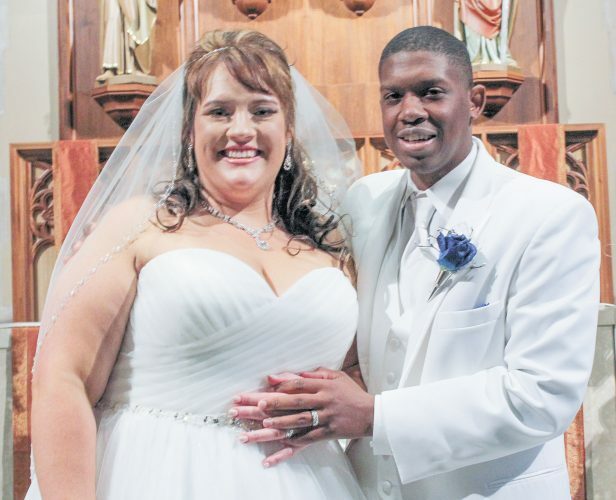 Best man was Nicholas Nay of Norwalk, friend of the groom. Groomsmen were Robert Lynch of Springfield, brother of the bride, and David Chew of Columbus, friend of the groom. 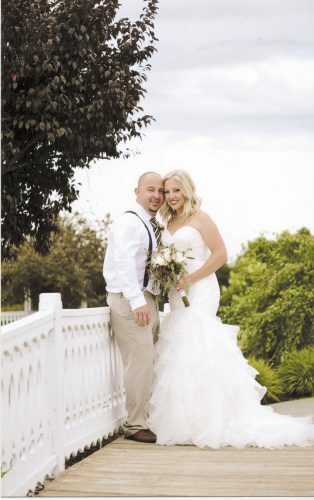 Groomsmaid was Alyson Simovic of Cleveland, friend of the couple. A reception followed the ceremony at Bronson Conservation Center in Norwalk. A rehearsal dinner was at Eagle Creek Club in Norwalk. Jessica, a 2009 graduate of Hopewell-Loudon and a 2013 graduate of The University of Findlay, is an elementary teacher. Cory, a 2008 graduate of Norwalk High School and a 2012 graduate of The University of Findlay, is a quality assurance analyst. 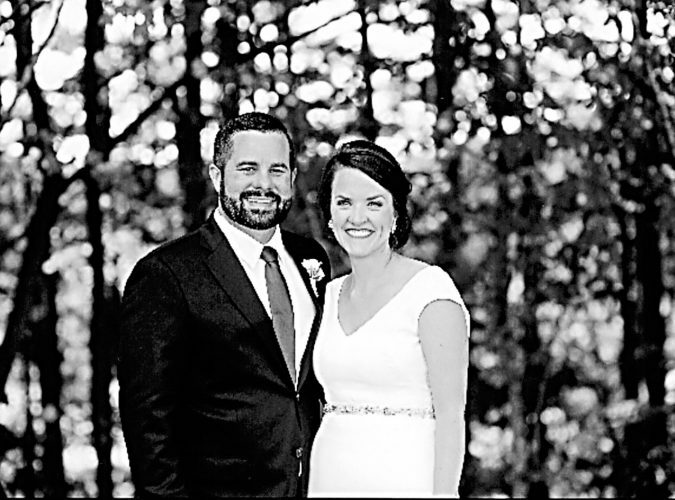 The couple, who lives in Norcross, Georgia, plans a summer wedding trip to Florida.